This incredible Black Wedding Dress is absolutely stunning. 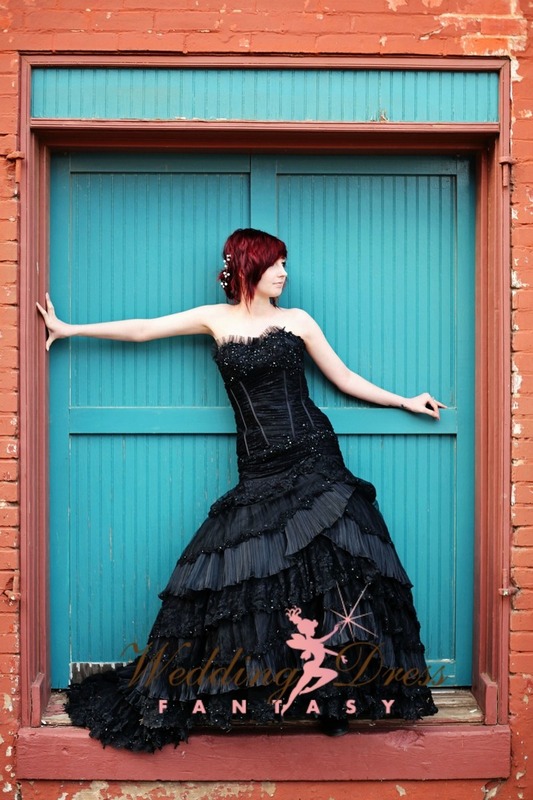 Designed with a Corset bodice and a fit-n-flair silhouette. Luxurious fabrics include Chantilly Lace, Pleated Organza, illusion tulle and hand beaded French Lace Applique. You will feel extraordinary in this stunning gown. Corset back closure as shown is $75 additional.